Background/Aims: Serum sodium predicts prognosis in cirrhosis and may improve the prognostic accuracy of the model for end-stage liver disease (MELD) score, but the available information is limited. The aim of the present study was to assess the prognostic value of serum sodium in the prediction of survival at 3 and 12 months after listing in patients with cirrhosis awaiting liver transplantation, and to compare its predictive value with that of the MELD score. Patients and methods: 308 consecutive patients with cirrhosis listed for transplantation during a 5-year period were included in the study. The end-point was survival at 3 and 12 months before transplantation. Variables obtained at the time of listing were analysed for prognostic value using multivariable analysis. Accuracy of prognostic variables was analysed by receiver operating characteristic (ROC) curves. Results: The MELD score and serum sodium concentration were the only independent predictors of survival at 3 and 12 months after listing. Low serum sodium was associated with an increased risk of death in all subpopulations of patients with cirrhosis categorised according to the major complication developed before listing. The area under the ROC curves for serum sodium and MELD score was not significantly different both at 3 months (0.83 vs 0.79, respectively) and at 12 months (0.70 vs 0.77, respectively). The addition of serum sodium did not significantly improve the accuracy of the MELD score in the prediction of survival at 3 and 12 months. Conclusion: In patients with cirrhosis awaiting liver transplantation, serum sodium and MELD were found to be independent predictors of survival. Larger studies are needed to determine whether the addition of serum sodium to MELD can improve its prognostic accuracy. The model for end-stage liver disease (MELD) score is the method most widely used for organ allocation in liver transplantation.1–3 This model, which includes variables related to both liver and renal function, was implemented in the USA in 2002 and is currently being used in many countries to classify patients with cirrhosis awaiting transplantation according to the severity of their liver disease. Nevertheless, several studies, as well as clinical observation, indicate that some subsets of patients with cirrhosis may have high mortality despite low MELD scores.4–7 Therefore, there is need for improvement of the MELD score. In this regard, several recent studies have shown that serum sodium concentration is a good marker of prognosis in patients awaiting transplantation.8,9,10 According to the results of these studies, the use of serum sodium in the assessment of severity of cirrhosis has been recommended. However, there are several issues on the possible use of serum sodium as a predictor of prognosis that require more information, specifically: (1) whether the value of serum sodium is equally effective in the assessment of short-term prognosis (3 months) compared with mid-term prognosis (12 months); (2) whether serum sodium is equally accurate in predicting prognosis in different subpopulations of patients with cirrhosis; and (3) whether serum sodium improves the accuracy of the MELD score. The purpose of this study was to investigate these issues. This is a single-centre retrospective cohort study of all adult patients with cirrhosis listed for liver transplantation at the Hospital Clínic of Barcelona during the period between January 2000 and March 2005. During this period, a total of 560 patients were listed for transplantation. Two hundred and fifty-two patients were excluded from this study for the following reasons: hepatocellular carcinoma (n = 152), retransplantation (n = 48) or diseases other than cirrhosis (acute liver failure, n = 22; familial amyloidotic polyneuropathy, n = 18; or miscellaneous disorders, n = 12). Patients in whom hepatocellular carcinoma was diagnosed after listing (n = 2) and those who were found to have incidental hepatocellular carcinoma at transplantation (n = 12) were not excluded from the study. The study cohort included 308 patients with cirrhosis. Criteria for listing patients with cirrhosis for liver transplantation throughout the study period were the existence of decompensated liver disease together with moderate-to-severe liver failure, as indicated by a Child–Pugh score ⩾7, and absence of absolute contraindications for transplantation. Patients belonging to Child–Pugh class A were only considered for transplantation if they had developed hepatic encephalopathy or had a concomitant parenchymal renal disease requiring combined liver–kidney transplantation.11,12 At the time of listing, demographic, clinical and biochemical variables were collected and included in a specific database for patients awaiting transplantation. During the study period (January 2000 to March 2005), the allocation of livers for transplantation in our centre was strictly determined by the time on the waiting list; in other words, when a liver from a cadaveric donor became available, the liver was assigned to the patient who had been on the waiting list for the longest time, matched by ABO group and body weight. Living-related liver transplantation was offered to suitable candidates. Since April 2005, the allocation of livers in our transplant programme is based on the severity of liver disease using the MELD score. The accuracy of each independent predictive factor of survival was assessed by receiver operating characteristic (ROC) curves. Comparison between ROC curves (concordance c-statistic test) was performed with the statistical package available at www.analyse-it.com, which uses the algorithm described by Hanley and McNeil.27 Statistical analysis was performed using SPSS 10 for Windows (SPSS Inc., Chicago, IL, USA). Results are expressed as mean (SD). p<0.05 was considered as statistically significant. The study was approved by the Institutional Review Board of the Hospital Clínic of Barcelona. Demographic, clinical and biochemical data of patients included in the study at the time of listing are shown in table 1. One hundred and thirty-five (44%) of the 308 patients had an abnormal serum sodium concentration (<135 mEq/l). The prevalence of low serum sodium concentration as defined by a serum sodium concentration <130, <125 and <120 mEq/l was 14, 5 and 1%, respectively. One-hundred and ninety (62%) out of the 308 patients included in the study underwent liver transplantation during follow-up (157 patients from deceased donors, 22 patients from living donors and 11 patients received a domino liver transplantation), 65 patients (21%) died while in the waiting list, 18 patients (6%) were removed because of listing in another transplant centre, 7 patients (2%) were excluded from the list either because they were too sick to be transplanted (4 patients) or because of marked improvement of liver function (3 patients), and 28 patients (9%) were still awaiting transplantation at the time of the analysis of the results. The median time on the waiting list was 6.4 months (range 0.1–18 months). Figure 1 shows the probability of survival on the waiting list of the whole population of included patients. The probability of survival before transplantation was 88% at 3 months and 68% at 12 months after inclusion on the waiting list. One-year survival before transplantation of the whole population of patients with cirrhosis included in the study. Time 0 is the time of listing. Numbers under the graph are patients at risk at each time point. The predictive factors of survival were analysed at two different time points: 3 and 12 months. Thirty-four (11%) of the 308 patients died within the first 3 months after inclusion on the waiting list before transplantation was performed. Table 2 shows the comparison of clinical and biochemical characteristics of patients who died and those of patients who survived the initial 3 months. Factors associated with 3-month survival in the univariate analysis were: hepatorenal syndrome, uncontrolled ascites, serum bilirubin, serum albumin, INR, serum sodium concentration and MELD score. All these variables were included in the multivariable analysis as they were considered clinically relevant. In multivariable analysis, only serum sodium and MELD score were independently associated with prognosis (table 3). When the MELD score was excluded from the multivariable analysis, factors that were independently associated with prognosis were: serum bilirubin, serum creatinine and serum sodium concentration. 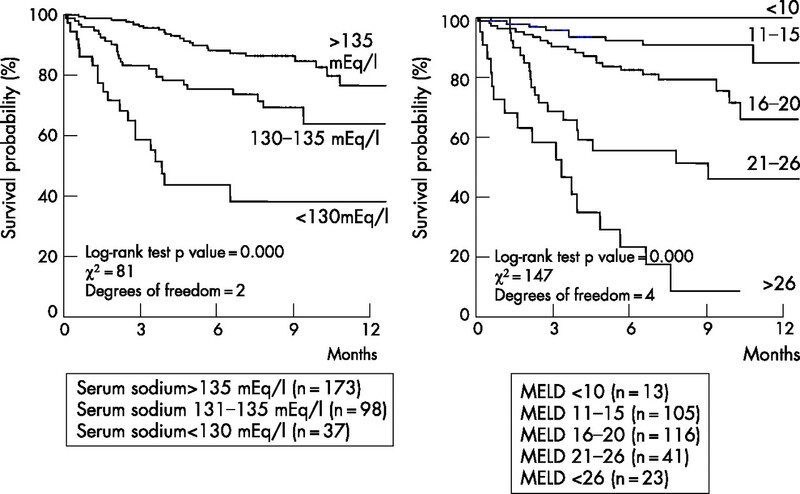 Figure 2 shows the individual relationship between serum sodium and MELD score and 3-month probability of survival. There was a 12% increase in the risk of death for each unit (mEq/l) decrease in serum sodium concentration between 120 and 135 mEq/l. Similarly, for each unit of increase in MELD score (between 15 and 40), the risk of death increased by 8%. The area under the ROC curves for MELD score and serum sodium were 0.79 (95% CI 0.71–0.86) and 0.83 (95% CI 0.76–0.90), respectively, the difference not being statistically significant (p = 0.4). Relationship between serum sodium (left) and model for end-stage liver disease (MELD) score (right) and estimated 3-month probability of survival in all patients included. Sixty-four (21%) of the 308 patients died within the first 12 months after inclusion on the waiting list before transplantation was performed. Table 4 shows the comparison of clinical and biochemical characteristics of patients who died and those of patients who survived within the initial 12-month period. Factors associated with 12-month survival in the univariate analysis were: hepatic encephalopathy, hepatorenal syndrome, uncontrolled ascites, renal failure, serum bilirubin, INR, serum albumin, serum sodium concentration and MELD score. All these variables were included in the multivariable analysis as they were considered clinically relevant. In multivariable analysis, again serum sodium and MELD score were independently associated with prognosis (table 3). MELD score at listing in patients transplanted during the 12-month period (n = 190) was 15.9 (4.2) compared with 21 (5) in patients who died during the same period (n = 64). Corresponding values of serum sodium at listing were 136 (4) vs 132 (6) mEq/l, respectively (p<0.05 for both). When the MELD score was excluded from the multivariable analysis, factors that were independently associated with prognosis were: serum bilirubin, serum creatinine, INR and serum sodium concentration. Figure 3 shows the probability of survival during the first year after inclusion on the waiting list for all patients classified according to different values of serum sodium and MELD score. The area under the ROC curves for MELD score and serum sodium were 0.77 (95% CI 0.70 to 0.80) and 0.70 (95% CI 0.60 to 0.78), respectively, the difference not being statistically significant (p = 0.14). One year-survival before transplantation of the whole population of patients with cirrhosis according to different values of serum sodium (left) and model for end-stage liver disease (MELD) score (right). To assess the possible value of serum sodium in improving the accuracy of the MELD score in the evaluation of prognosis, serum sodium concentration was incorporated in the calculation of the MELD score, using a formula described recently.28 A MELD-Na score was then calculated for each patient and its accuracy in predicting prognosis was compared with that of the MELD score and serum sodium using ROC curves. As shown in fig 4, no significant differences were observed between the predictive value of MELD-Na at 3 and 12 months and those of the MELD score and serum sodium concentration calculated individually. The addition of the variable uncontrolled ascites to MELD-Na did not significantly improve the accuracy of MELD alone or MELD-Na in the prediction of 3- or 12-month survival (area under the ROC curve for 3-month survival: MELD 0.79, MELD-Na 0.83, MELD-Na-uncontrolled ascites 0.84; area under the ROC curve for 12-month survival: MELD 0.76; MELD-Na 0.78, MELD-Na-uncontrolled ascites 0.77). Moreover, when a separate analysis was performed in the subgroup of patients with low MELD (<21),8 no significant differences were found between the predictive values of MELD-Na and MELD-Na-uncontrolled ascites and those of MELD score or serum sodium individually (area under the ROC curve for 3-month survival: MELD 0.74, serum sodium 0.79, MELD-Na 0.80, MELD-Na-uncontrolled ascites 0.81; area under the ROC curve for 12-month survival: MELD 0.70, serum sodium 0.62, MELD-Na 0.70, MELD-Na-uncontrolled ascites 0.60). Receiver operating characteristic (ROC) curves of the model for end-stage liver disease (MELD) score (c-statistic (SEM) 0.79 (0.04) at 3 months and 0.77 (0.03) at 12 months), serum sodium concentration (c-statistic (SEM) 0.82 (0.03) and 0.70 (0.04), at 3 and 12 months, respectively) and MELD plus serum sodium concentration (c-statistic (SEM) 0.83 (0.03) and 0.77 (0.03), at 3 and 12 months, respectively), and survival probability at 3 (left) and 12 months (right). MELD plus serum sodium concentration was calculated as described in Hosmer and Lemeshow.23 p = not significant for all comparisons. To assess further the prognostic value of serum sodium concentration, patients were categorised according to the major complication(s) of cirrhosis they had developed before listing. The prognostic value of serum sodium was then evaluated in these subsets of patients by comparing the hazard ratio of death at 3 months in patients with and without hyponatraemia. As shown in table 5, the presence of hyponatraemia was associated with an increased risk of death in all subpopulations of patients evaluated: patients with ascites, hepatic encephalopathy, gastrointestinal bleeding, spontaneous bacterial peritonitis or renal failure. Serum sodium was an independent predictor of survival in patients with low and high MELD scores (<21 and ⩾21, respectively). The current study reports the results of the analysis of survival and prognostic factors of a large cohort of patients with cirrhosis listed for transplantation in a single institution over a 5-year period. Several characteristics of this cohort make it unique in the assessment of prognostic factors of survival of patients with cirrhosis awaiting liver transplantation. First, it includes a relatively large number of patients treated in a single institution following standardised protocols for the management of complications of cirrhosis developing during the waiting time. Secondly, the study period was restricted to 5 years, which minimises the impact of changes in patients’ management over time. Thirdly, during the period of the study, the major determinant of organ allocation was time on the waiting list. Finally, although this is a retrospective study, all variables evaluated as prognostic factors were collected prospectively in a large database at the time of inclusion of patients on the waiting list. The results of the current study confirm previous data indicating that the MELD score is an independent predictor of survival in patients with cirrhosis awaiting liver transplantation.29,30 MELD score at the time of listing was an independent predictor of survival at both 3 and 12 months after inclusion of patients on the waiting list. The fact that the allocation of organs in this cohort of patients was done by time on the waiting list reinforces the value of the MELD score as the best method currently available to allocate organs when a system based on the severity of the liver disease is to be used. Comparison of ROC curves assessing the relationship between MELD score and 3- and 12-month survival probability indicates that the MELD score has a similar prognostic accuracy in the assessment of 3-month survival compared with 12-month survival (c-statistic 0.79 and 0.77, respectively). Moreover, a close look at the relationship between MELD score and 3-month survival probability indicates that a major change in survival probability occurs in values of MELD ranging from 15 to 40 (fig 2). In this range, an increase in one point in the MELD score represents an 8% decrease in 3-month survival probability. Another interesting finding of the current study was that patients with a MELD score lower than 15 have a very high probability of survival at both 3 and 12 months after listing (96 and 87%, respectively). This survival probability is similar to that reported in most transplant centres after transplantation of patients with cirrhosis.31,32 Patients with low MELD scores are commonly listed for transplantation in transplant programmes using allocation systems based on time on the waiting list, as was the case in the current study. However, the current data showing very low waiting list mortality in this patient population cast doubts about the convenience of listing patients with low MELD scores in transplant programmes in which the allocation system is based on the severity of liver disease. An interesting and somewhat surprising finding of the current study was that hepatorenal syndrome, although significantly associated with prognosis in the univariate analysis, was not an independent predictive factor of survival in the multivariable analysis. Although we do not have a complete explanation for this finding, it may be due, at least in part, to the fact that most patients with hepatorenal syndrome were treated with terlipressin and albumin before transplantation,18 which could have resulted in an improvement of survival of these patients. The results of the current study are in keeping with several recent studies in patients with cirrhosis awaiting liver transplantation as well as with previous studies in patients with cirrhosis and ascites indicating that serum sodium concentration is a very good marker of survival, at both 3 and 12 months after inclusion of patients on the waiting list.8,9,10 Serum sodium concentration has also recently been shown to be a good marker of outcome after transplantation.33 Comparison of ROC curves assessing the relationship between serum sodium concentration and 3- and 12-month survival probability indicates that serum sodium concentration has better prognostic accuracy in the assessment of 3-month survival than 12-month survival (c-statistic 0.83 and 0.70, respectively). On the other hand, a close look at the relationship between serum sodium concentration and 3-month survival probability indicates that a major change in survival probability occurs in values of serum sodium ranging from 120 to 135 (fig 2). In this range, a reduction in 1 mEq/l in serum sodium concentration is associated with a 12% decrease in 3-month survival probability. Another relevant clinical finding of this study was that patients without hyponatraemia but with a serum sodium concentration lower than normal values (ie, patients with serum sodium between 130 and 135 mEq/l) have a 12-month probability of survival significantly greater than that of patients with hyponatraemia (serum sodium >130 mEq/l) but lower than that of patients with normal serum sodium concentration (fig 3). The reason why the MELD score is a good marker of prognosis in patients with cirrhosis who are candidates for liver transplantation is probably related to the fact that MELD combines two parameters, bilirubin and INR, that are sensitive markers of liver function, together with serum creatinine, a marker of renal function.2 The severity of both liver and renal dysfunction has been shown to correlate with prognosis in patients with cirrhosis.34,35 In contrast, the explanation for why serum sodium concentration is a good marker of prognosis in patients with cirrhosis is uncertain and has not been specifically investigated. It might be that serum sodium concentration reflects the severity of liver failure, because patients with hyponatraemia commonly have a more advanced liver disease compared with that of patients without hyponatraemia.33,36 However, the results of this study as well as those from several previous studies8,9,10 indicate that the prognostic value of hyponatraemia is independent of that of the MELD score, which appears to dissociate the predictive value of serum sodium from that of liver and renal failure. Alternatively, it is possible that serum sodium concentration predicts prognosis because it reflects the severity of circulatory failure associated with advanced cirrhosis, as hyponatraemia is due to a non-osmotic hypersecretion of vasopressin, which in turn is dependent on the degree of impairment in circulatory function.21,22,37 Finally, hyponatraemia has been reported as a predisposing factor for the development of hepatic encephalopathy,38–40 although evidence supporting such a relationship is still limited. Considering the results of previous studies as well as those of the current study, the question arises as to whether serum sodium concentration should be used to improve the prognostic accuracy of the MELD score in view of its simplicity and high predictive value. To assess the possible value of serum sodium in improving the accuracy of the MELD score in the evaluation of prognosis, serum sodium concentration was incorporated in the calculation of the MELD score, using a formula described recently.28 A MELD-Na score was then calculated for each patient and its accuracy in predicting prognosis was compared with that of the MELD score and serum sodium using ROC curves. As shown in fig 4, no significant differences were observed between the predictive value of MELD-Na at 3 and 12 months and those of MELD score and serum sodium concentration calculated individually. Discrepancies between the results of the current study and those of previous studies10,28 may be related to differences in the patient population, methods used to incorporate sodium in the MELD formula or the method used for organ allocation. On the other hand, it is important to point out that the sample size of the current study was not high enough to rule out completely a better predictive value of MELD-Na compared with MELD or serum sodium alone. In fact, the estimated power of the study was low, 11% at 3 months and 30% at 12 months. An estimated power >80% would have required the inclusion of 1268 patients which is difficult to achieve in single-centre studies, unless the study period is markedly prolonged, an approach that does not seem appropriate because it will increase the heterogeneity of the patient population. Therefore, multicentre studies with very large sample sizes would be required to test the superiority of MELD-Na with respect to MELD alone in the assessment of prognosis of patients with cirrhosis awaiting liver transplantation. While awaiting the results of these studies, it is important to ponder the appropriateness of including serum sodium as a new variable in a score for organ allocation in liver transplantation. A new variable should ideally meet the following criteria: good correlation with survival; easy measurement; wide availability; and stability. While serum sodium meets the first three criteria, it does not meet the fourth. In fact, serum sodium levels may have important fluctuations after simple therapeutic manoeuvres, which do not necessarily reflect changes in the severity of the disease. For example, administration of diuretics is commonly associated with marked changes in serum sodium concentration, which are of 4 mEq/l on average and can be as high as 10–15 mEq/l, and are often reversible after diuretic withdrawal.42 Moreover, serum sodium may decrease markedly after administration of oral or intravenous hypotonic fluids due to the impaired capacity to eliminate solute-free water commonly present in patients with advanced cirrhosis.43 Finally, the serum sodium concentration increases markedly after the administration of drugs that antagonise selectively the V2 receptors of the antidiuretic hormone. Phase 2 studies have shown that these drugs increase serum sodium concentration and improve the management of ascites in patients with cirrhosis and hyponatraemia, and may be available soon for use in clinical practice.44–46 If the beneficial effects of these drugs are confirmed in phase 3 studies, which are currently underway, the addition of serum sodium as a variable in a new score to be used for organ allocation may be an obstacle for the use of these drugs in patients awaiting liver transplantation. In conclusion, the results of the current study indicate that the MELD score and serum sodium concentration are the only independent predictive factors of 3- and 12-month survival in patients with cirrhosis awaiting liver transplantation. Serum sodium concentration is equally accurate in the assessment of prognosis in different subpopulations of patients with cirrhosis categorised according to the major complication developed before listing in our patient population. The addition of serum sodium to the MELD score does not appear to improve significantly the prognostic accuracy of the MELD score alone. Nevertheless, additional studies in large patient populations should be performed to address this issue further. The authors thank Dr Juan Gonzalez-Abraldes for his help in the evaluation of data. Kamath P S, Wiesner R H, Malinchoc M, et al. A model to predict survival in patients with end-stage liver disease. Hepatology2001;33:464–70. Wiesner R H, McDiarmid S V, Kamath P S, et al. MELD and PELD: application on survival models to liver allocation. Liver Transpl2001;7:567–80. Freeman R BJr, Wiesner R H, Harper A, et al. UNOS/OPTN Liver Disease Severity Score, UNOS/OPTN Liver and Intestine, and UNOS/OPTN Pediatric Transplantation Committees. The new liver allocation system: moving toward evidence-based transplantation policy, Liver Transpl2002;8:851–8. Everson G T. MELD: the answer or just more questions? Gastroenterology2003;124:251–4. Freeman R B. MELD: the holy grail of organ allocation? J Hepatol2004;42:16–20. Cholongitas E, Senzolo M, Triantos C, et al. MELD is not enough—enough of MELD? J Hepatol2005;42:475–7. Durand F, Valla D. Assessment of the prognosis of cirrhosis: Child–Pugh versus MELD. J Hepatol2005;42:S100–7. Heuman D M, Abou-Assi S G, Habib A, et al. Persistent ascites and low serum sodium identify patients with cirrhosis and low MELD scores who are at high risk for early death. Hepatology2004;40:802–10. Biggins S W, Rodriguez H J, Bacchetti P, et al. Serum sodium predicts mortality in patients listed for liver transplantation. Hepatology2005;41:32–9. Ruf A E, Kremers W K, Chavez L L, et al. 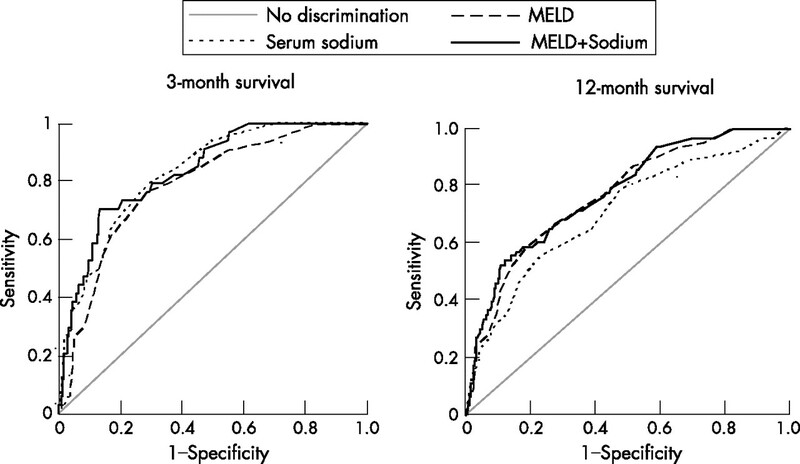 Addition of serum sodium into the MELD score predicts waiting list mortality better than MELD alone. Liver Transpl2005;11:336–43. Bustamante J, Rimola A, Ventura P J, et al. Prognostic significance of hepatic encephalopathy in patients with cirrhosis. J Hepatol1999;30:890–5. Davis C L. Impact of pretransplant renal failure: when is listing for kidney–liver indicated? Liver Transpl2005;11:S35–44. Moore K P, Wong F, Gines P, et al. The management of ascites in cirrhosis: report on the consensus conference of the International Ascites Club. Hepatology2003;38:258–66. Ginès P, Cárdenas A, Arroyo V, et al. Management of cirrhosis and ascites. N Engl J Med2004;350:1646–54. Pugh R N, Murray-Lyon I M, Dawson J L, et al. Transection of the oesophagus for bleeding oesophageal varices. Br J Surg1973;60:646–9. Cholongitas E, Senzolo M, Pathc D, et al. Review article: scoring systems for assessing prognosis in critically ill adult cirrhotics. Aliment Pharmacol Ther2006;24:453–64. Cárdenas A, Ginès P. Management of complications of cirrhosis in patients awaiting liver transplantation. J Hepatol2005;42 (Suppl 1) :S124–33. Ginès P, Guevara M, Arroyo V, et al. Hepatorenal syndrome. Lancet2003;362:1819–27. Bosch J, Abraldes J G, Groszmann R. Current management of portal hypertension. J Hepatol2003;38:S54–68. de Franchis R. Evolving consensus in portal hypertension. Report of the Baveno IV consensus workshop on methodology of diagnosis and therapy in portal hypertension. J Hepatol2005;43:167–76. Ginès P, Berl T, Bernardi M, et al. Hyponatremia in cirrhosis: from pathogenesis to treatment. Hepatology1998;28:851–64. Arroyo V, Ginès P, Gerbes A L, et al. Definition and diagnostic criteria of refractory ascites and hepatorenal syndrome in cirrhosis. International Ascites Club. Hepatology1996;23:164–76. Hosmer D W, Lemeshow S. Applied logistic regression. New York: Wiley, 1989. Collett D. Modelling binary data. London: Chapman & Hall, 1991. Balckstone E H. Breaking down barriers: helpful breakthrough statistical methods you need to understand better. J Thorac Cardiovasc Surg2001;122:430–9. StataCorp. Stata Statistical Softwware: Release 9. College Station, TX: StataCorp P, 2005. Hanley J A, McNeil B J. The meaning and use of area under a receiver operating characteristic (ROC) curve. Radiology1982;143:29–36. Biggins S W, Kim W R, Terrault N A, et al. Evidence-based incorporation of serum sodium concentration into MELD. Gastroenterology2006;130:1652–60. Wiesner R, Edwards E, Freeman R, et al. United Network for Organ Sharing Liver Disease Severity Score Committee. Model for end-stage liver disease (MELD) and allocation of donor livers. Gastroenterology2003;124:91–6. Botta F, Giannini E, Romagnoli P, et al. MELD scoring system is useful for predicting prognosis in patients with liver cirrhosis and is correlated with residual liver function: a European study. Gut2003;52:134–9. Kim W R, Therneau T M, Benson J T, et al. Deaths on the liver transplant waiting list: an analysis of competing risks. Hepatology2006;43:345–51. Roberts M S, Angus D C, Bryce C L, et al. Survival after liver transplantation in the United States: a disease-specific analysis of the UNOS database. Liver Transpl2004;10:886–97. Londoño M C, Guevara M, Rimola A, et al. Hyponatremia impairs early posttransplantation outcome in patients with cirrhosis undergoing liver transplantation. Gastroenterology2006;130:1135–43. Llach J, Ginès P, Arroyo V, et al. Prognostic value of arterial pressure, endogenous vasoactive systems, and renal function in cirrhotic patients admitted to the hospital for the treatment of ascites. Gastroenterology1988;94:482–7. Fernández- Esparrach G, Sánchez-Fueyo A, Ginès P, et al. A prognostic model for predicting survival in cirrhosis with ascites. J Hepatol2001;34:46–52. Borroni G, Maggi A, Sangiovanni A, et al. Clinical relevance of hyponatraemia for the hospital outcome of cirrhotic patients. Dig Liver Dis2000;32:605–10. Ishikawa S, Schrier R W. Pathogenesis of hyponatremia: the role of arginine vasopressin. In: Ginès P, Arroyo V, Rodés J, Schrier RW, eds. Ascites and renal dysfunction in liver disease. Oxford: Blackwell Publishing, 2005, 305–14. Baccaro M E, Guevara M, Torre A, et al. Hyponatremia predispones to hepatic encephalopathy in patients with cirrosis. Results of prospective study with time-dependent analysis [abstract]. Hepatology. 2006;44: 233 A,. Cordoba J, Gottstein J, Blei A T. Chronic hyponatremia exacerbates ammonia-induced brain edema in rats after portacaval anastomosis. J Hepatol1998;29:589–94. Haussinger D, Kircheis G, Fischer R, et al. Hepatic encephalopathy in chronic liver disease: a clinical manifestation of astrocyte swelling and low-grade cerebral edema? J Hepatol2000;32:1035–8. Jalan R, Elton R A, Redhead D N, et al. Analysis of prognostic variables in the prediction of mortality, shunt failure, variceal rebleeding and encephalopathy following the transjugular intrahepatic portosystemic stent-shunt for variceal haemorrhage. J Hepatol1995;23:123–8. Ginès P, Arroyo V, Quintero E, et al. Comparison of paracentesis and diuretics in the treatment of cirrhotics with tense ascites. Results of a randomized study. Gastroenterology1987;93:234–41. Arroyo V, Rodés J, Gutierrez-Lizarriaga M A, et al. 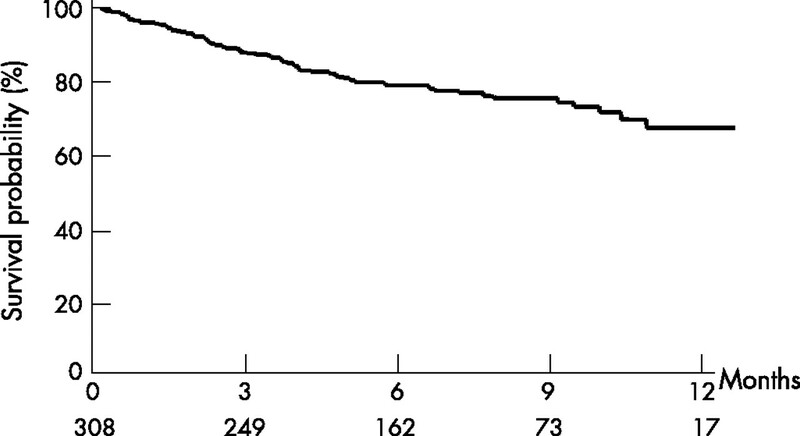 Prognostic value of spontaneuous hyponatremia in cirrhosis with ascites. Am J Dig Dis1976;21:249–56. Ginès P, Wong F, Milutinovic S, et al. Effects of satavaptan (SR121463B), a selective vasopressin V2 receptor antagonist, on serum sodium concentration and ascities in patients with cirrhosis and hyponatremia. J Hepatol2006;44:S270. Wong F, Ginès P, Watson H, et al. Effects of a selective vasopressin V 2 receptor antagonist, Satavaptan (SR121463B), on recurrence of ascites after large volume paracentesis [abstract]. Hepatology. 2006;44: 256 A,. Schrier R W, Gross P, Gheorghiade M, et al. Tolvaptan, a selective oral vasopressin V2-receptor antagonist, for hyponatremia. N Engl J Med2006;355:2099–112. This study was supported by grants from Fondo de Investigación Sanitaria (FIS 05/0246) and Ministerio de Educación y Ciencia (SAF 2005-01917). Mónica Guevara was supported by a grant from Fondo de Investigación Sanitaria (FIS01/3045). Maria–Carloto Londoño has received financial support from the Fundacion Banco Bilbao Vizcaya Argentaria.